Despite already hosting a 20-plus minute video presentation featuring Nintendo Switch indie games this week at Gamescom, Nintendo will air another video debuting some unannounced Nindies coming to the Switch. This presentation can be watched on August 28, 2018 at 9am PT / 11am CT / 12pm ET. We’re excited to see what’s revealed! 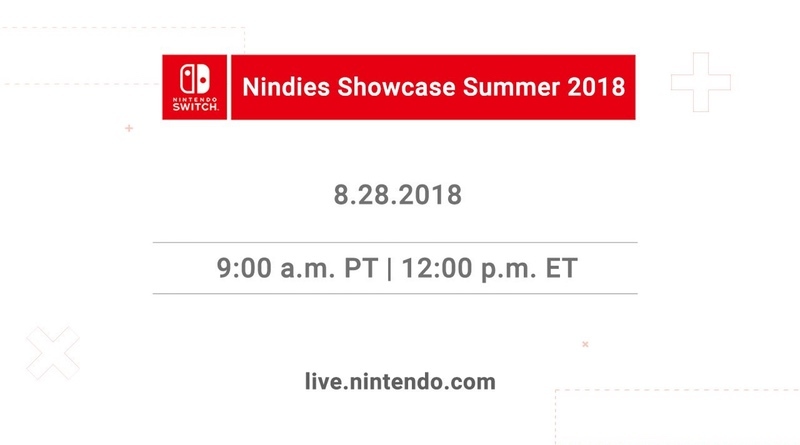 Tune in 8/28 at 9am PT for a new #Nindies Showcase video presentation highlighting multiple unannounced indie games coming to #NintendoSwitch!